You all know how I feel about Revlon, never-mind their PhotoReady™ range! As you know I am a huge fan of the Beauty YouTubers based in the UK, as this is what originally got me into blogging - anyway, they literally swear by Revlon, with PhotoReady™ being a firm favourite. The products in this range really are simply amazing and for those of you who haven't had the chance to try any then this is your chance! Revlon are giving one lucky reader the chance to win a PhotoReady™ hamper with every eyeshadow any girl could ever wish for - all valued at R2000! Each shadow comes with all your need for the perfect eyeshadow look - a primer to prepare the area, a shadow to create your look and build colour and a sparkle if you feel like adding that extra touch. This is my favourite of the many options available. These shadows are all about playing around and trying out new looks (as well as being able to create your fail-proof favourite looks). The great thing is that they come with a variety of options allowing you to play around and find what works best for you! 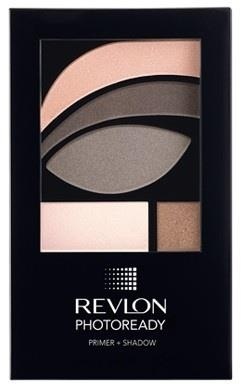 I've been having fun pinning beautiful eyeshadow looks with Revlon, have a look at our board here. Competition closes on 4 April 2013. Open to RSA readers only. Done all 3. Just love the Photoready range, haven't tried the eyeshadows yet but have heard amazing things. Google its Candice Dhani :) Shared within my circle. I've tweeted @melbrown1978, liked, shared, etc..
Great Giveaway - Thank you. Done! great prize...fingers and toes crossed that I am the lucky one!!! I've had my eye on these beautiful colours for a while now.....just what I need for a lifetime of striking eye make up! Love the sparkly option...so clever! Tweeted and liked and liked. What a fabulous giveaway. I had already liked both pages so I tweeted (@Ordinary_Misfit). These shadows look amazing. Definitely a must have for any collection. What a sick prize! Here's hoping.. I want to win a R2000 @RevlonSA PhotoReady™ hamper with @toritatham. Tweeted, liked and shared. Done, done and done! Thanks for the amazing giveaway! Just to make sure...I've tweeted & liked! Done - have liked on FB and tweeted. Done!! Pages liked and tweet tweeted!! It's my birthday this month! love this prize! Wow, what I wouldn't give to win this! I've tweeted (Rench7), liked, and tweeted again!